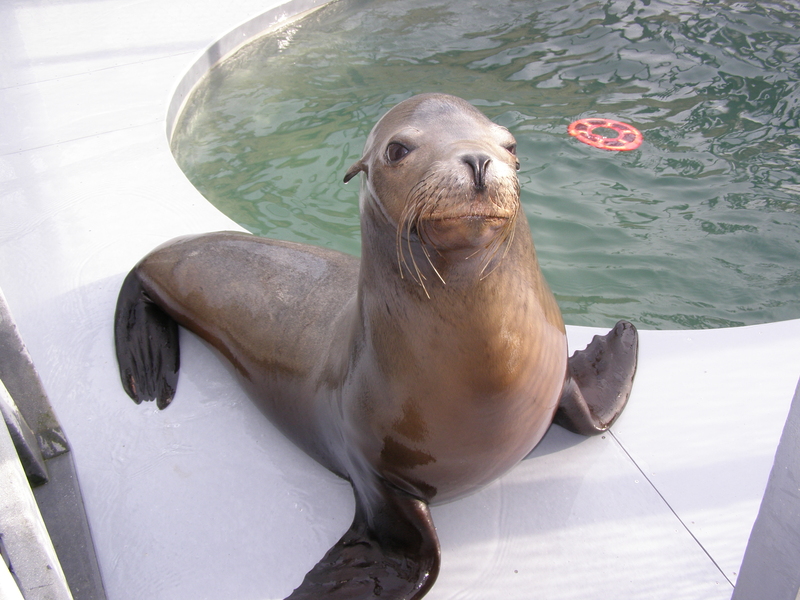 Nemo is our only male California sea lion. 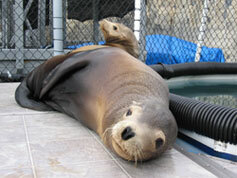 He was born in 1996 and came to Moss Landing Marine Laboratories (MLML) in March of 1998. One of the many victims of El Niño, he was stranded at two-years of age and arrived from Sea World with a gunshot wound in his jaw. Bone fragments and some teeth had to be removed from his jaw, making it impossible for Nemo to re-enter the wild because he would have a difficult time catching fish. He has an extensive training background, including: cooperative research training, voluntary medical procedures, education and public outreach. 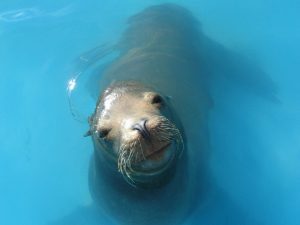 Nemo is one of the anchor animals for our Sea Lion Encounters program, taking part in multiple public outreach programs every year. Nemo loves training and contact with his trainers. Check out Nemos stunning paintings!